She was born Katherine Coleman on August 26, 1918, in White Sulphur Springs, Greenbrier County, West Virginia. Her mother was a teacher and her father was a lumberman, farmer, handyman and worked at a hotel. Due to her mother’s influence, she could read at the age of four. She enjoyed counting everything and had a gift for numbers. Their county didn’t offer public schooling for African-Americans past grade eight and so her father took the family the 130 miles (210 km) to Institute, West Virginia where she could attend high school. They spent the school years in Institute and the summers in White Sulphur Springs. She was ten years old at the time and graduated at fourteen. The school was part of the West Virginia State College, a historically black college, and so she did her college there, taking every math course available. She had multiple mentors, including W. W. Schiefflin Claytor, only the third African-American to get a Ph.D. in math. At one point he said, “You’d make a good research mathematician and I’m going to see that you’re prepared.” This sort of encouragement was something she received a lot of during her upbringing. At the age of 18, she graduated with highest honors with degrees in Mathematics and French. She desired a career as a research mathematician but at first, could find only teaching jobs. Then in 1952, a relative mentioned that NACA (the predecessor to NASA) was looking for mathematicians. 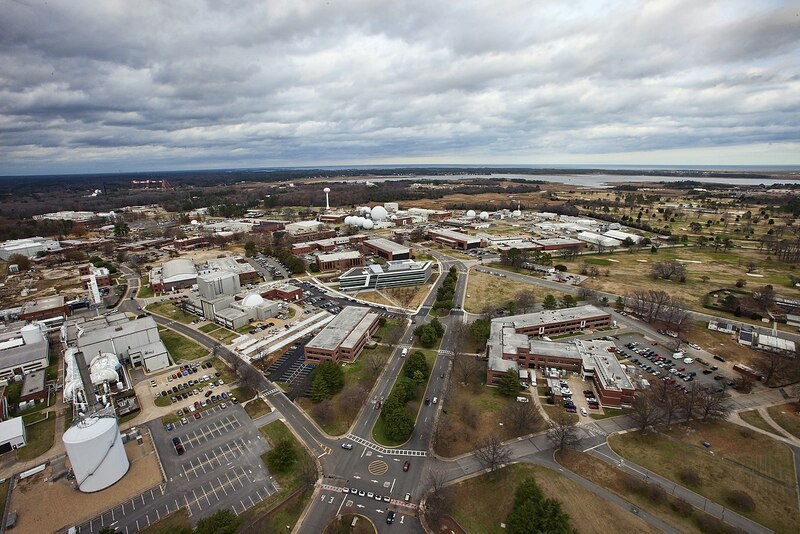 It turned out that NACA’s Langley Memorial Aeronautical Laboratory, in Hampton, Virginia needed mathematicians for their Guidance and Navigation Department. She began working for them in 1953. She first worked in a pool of women doing math calculations, mainly analyzing black box data from flight tests but also doing other mathematical jobs. She referred to the women as the “computers who wore skirts”. Two weeks into the work she moved over to the Flight Research Division’s Guidance and Control Division and never returned. We wrote our own textbook, because there was no other text about space. We just started from what we knew. We had to go back to geometry and figure all of this stuff out. Inasmuch as I was in at the beginning, I was one of those lucky people. She did trajectory analysis for Alan Shepard’s May 1961 Freedom 7 mission, part of the Project Mercury flights and the first time an American went to space. Launching from Cape Canaveral, Florida, it was a 15-minute suborbital flight. The trajectory was a parabola peaking at 187.5 km (116.5 miles) up and traveling a downrange distance of 487.3 km (303 miles), splashing down in the Atlantic. 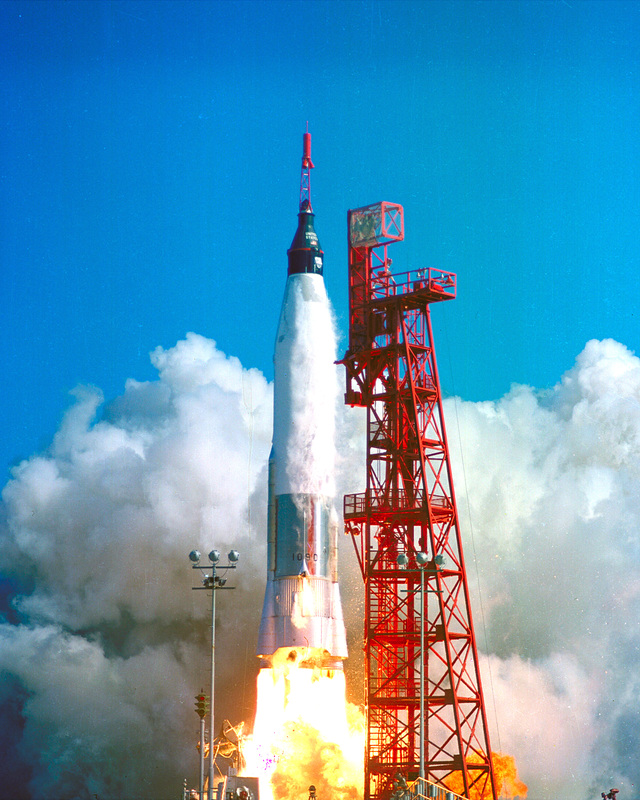 The goals were to test how well Shepard handled the high g-forces during launch and the heat of atmospheric re-entry. John Glenn’s Friendship 7 mission in February 1962 involved orbiting the Earth three times. That added the complexity of the Earth’s gravitational pull and so NASA used a digital computer, the IBM 7090, for the calculations. It did the orbital calculations to control the trajectory of the capsule from launch to splashdown. But the computer was prone to hiccups and blackouts, and so the astronauts were wary of it. Get the girl to do it. [All the women working at the time were referred to as “girls”.] I want this human computer to check the output of the electronic computer, and if she says they’re good, you know, I’m good to go as part of one of my pre-flight checklists. With the help of her desktop calculator, she then did the same computations as the computer. Depending on the source, the calculations took either a day and a half or three days, but she got the exact same numbers as the digital computer. The rest is history. She was most proud of the success of the Apollo 11 mission wherein she was part of the team which computed the path to get to and from the Moon. To start calculations, in principle all they needed to know was where you’d launch from on the Earth and where the Moon would be. While most people were concerned about getting there, she was more concerned about the return. Watching the events on TV during the mission, she recalled thinking that if the astronauts were off by a degree then they would fail to orbit the Earth. She was hoping that they’d gotten the calculations right. She says her greatest contribution to space travel was her help with calculations for syncing up the Apollo lunar lander with the command module in lunar orbit. Her work didn’t end there. She also helped with contingency procedures for Apollo 13 when it experienced its malfunction while in space. She worked on the Space Shuttle, the Earth Resources Satellite, and on plans for a Mars mission. Racial segregation was still very much present in the US south at the time. Johnson experienced it throughout her life but never let it get in her way. In the movie, Hidden Figures, she has to walk a long distance to use the colored women’s bathroom while working at Langley. In fact, it was Mary Jackson, a NASA engineer also featured in the movie who did so. Johnson instead used the unlabeled white women’s bathroom, at first not knowing about the segregation. When she found out, she just ignored it. She also experienced obstacles as a woman. She insisted on attending meetings that were normally for men only. Womens’ names were not included as co-authors on reports until her’s became the first — the first of 26 which she would co-author throughout her career. Among the honors she’s received, on November 24, 2015, President Obama awarded her the Presidential Medal of Freedom and on May 5, 2016, NASA named a new 40,000 square foot building at the Langley Research Center the Katherine G. Johnson Computational Research Facility. She’ll be celebrating her 100th birthday on August 26, 2018. Simply amazing to think she’ll be 200 later this year! No, this is HEAD, HackedEnglishADay. Or funny, depending upon your POV. Thanks _VERY_ much for the very factual piece on Katherine Johnson – a true hero of the U.S. Space program. As your article suggests, the facts have gotten muddled quite a lot by the movie, “Hidden Figures,” which is full of errors and downright lies. I worked at NASA/Langley in 1959-60, and did early work on the “Figure 8” circumlunar trajectory used in Project Apollo. Like Johnson, I often used a desk calculator, running the numbers on the original spreadsheets – the kind written down on paper. When the job got too big for me, I’d take it to the “Computer Room,” which didn’t have a “Giant Brain” inside, but dozens of women clattering away on heavy and noisy Friden mechanical calculators. No, I didn’t meet Katherine Johnson or any of the other black computer “girls” of West Computing. Didn’t even know they existed. But, for the record, NASA/Langley did have an IBM computer – the 650 – as early as 1954, and one of the West Computing “girls” was already writing code for it. So the scene in the movie where no one could figure out how to make a 7090 work is pure fiction. Some clarifications: Alan Shepard’s suborbital flight wasn’t really a parabola, of course – it only looks a lot like one. In reality, it’s the pointy end of a long, skinny ellipse, with the center of the Earth at one focus. But it’s not really that, either, because the first part of the trajectory was under powered flight through the Earth’s atmosphere, and of course the other end was the part during reentry. Also, you can see that the retro rocket was fired at apogee. Wonder why they did that? Shepard surely didn’t need it to re-enter. He was certainly going to do that anyhow. I’m guessing that they simply wanted to test the retro package. 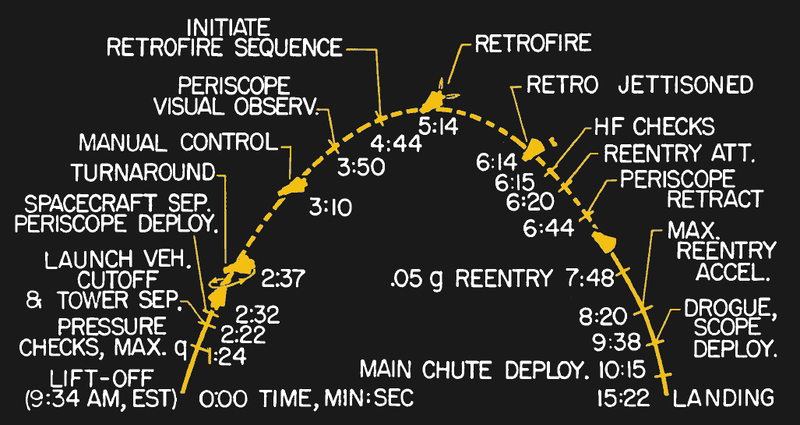 If the attitude at retro fire that’s shown in the figure is accurate, it wouldn’t have changed the trajectory shape much, but most definitely would change the speed at reentry. Hm. Maybe that’s the point. They wanted Shepard’s flight to have a reentry velocity more like Glenn’s orbital flight? Any engineer can write down the equations for a parabola and calculate the time and downrange distance of splashdown. But it takes some serious calculation to deal with the thrusting and reentry bits, and that’s where Johnson’s skill was needed. One final clarification: The notion that the NASA engineers of 1958-63 didn’t know how to calculate trajectories is total BS. I found those engineers to be the best in the world. “Hidden Figures” aside, there was nothing about the Mercury, Gemini, and Apollo trajectories that they didn’t know how to calculate. Thanks to the International Geophysical Year in 1958, the Earth’s atmosphere was fairly well known – indeed, the model describing it hasn’t changed much in the 50 years since. And, of course, the Langley engineers wrote the book on high-speed aerodymanics. Finally, the algorithms like fourth-order Runge-Kutta (RK4) equations for numerical integration were well known and in common use. When I first heard that Katherine Johnson had run the same calculations by hand, for the Glenn flight, I was skeptical. It’s one thing to program a computer to perform RK4 integration. Doing it with a desk calculator would be a monumental task. But then I heard mention, in the movie, of the term “Euler’s method.” Euler’s method is a much more primitive, first-order method for numerical integration. But it does work, and it gives decent results if you keep the integration step size small. You’re trading hours of work for accuracy, and I’m guessing that this trade wouldn’t have discouraged Johnson for a millisecond. I _CAN_ guarantee you that she didn’t do it in her head, while standing on a ladder, but in the 1.5 to three days you mention, no problem. Especially not for Katherine Johnson. I’m surprised that in 1953 the USAF was launching a V-2 plus Corporal sounding rockets to 266 miles from White Sands. Wasn’t that high enough to go into orbit? If so, we could have beaten Sputnik by 5 years. @Ren: Actually, they had a “Rockoon,” which was a Wac Corporal suspended below one of those big helium balloons. Launched from about 100,000 feet, the Corporal went to some 4000 MILES. Unfortunately, that doesn’t get you into orbit. The sounding rockets go straight up and straight down. To get into orbit, you need angular momentum, which means tons of velocity in a horizontal direction. Yep. It’s not so hard to go really high with a rocket. The tough bit is *going sideways* fast enough to not fall back to Earth’s surface. Thanks for the perspective and details! Good point re the parabola. All the times I’ve heard of these suborbital flights being described of as following parabolas and I never consider that part of it is powered. I certainly wouldn’t have thought of it as “a long, skinny ellipse, with the center of the Earth at one focus”. I can sort of see how though, after all, we are dealing with free flight at the top and the pull of the Earth’s gravity. Fascinating. From having watched some behind-the-scenes videos about the making of the movie, they knowingly changed events and compressed multiple characters into one in order to fit it all in 2 hours while keeping it engaging. But I’m sure there were things they thought were factual that weren’t. Even the author of the book admitted that some facts such as exactly when Johnson did her checking of the computer’s calculations was impossible to nail down. Johnson herself couldn’t remember exactly when. In writing a few of these bio pieces I’ve found a few biographers have run into that problem. Heck, I can’t remember in what year some things happened circa 40 years ago, let alone the 50 years ago for the events of this piece. My understanding is, the Hidden Figures movie wasn’t really based on Margot Lee Shetterly’s book, but only on her preliminary notes. She did a _TON_ of research, as evidenced by her reference pages. Plus she was born in Newport News and knew the history from the families there. But someone decided to make a movie, with the theme “Black women Good, White men Bad.” They were pushing the Academy Awards business very hard. Shetterly’s book is a good read, highly recommended. Great comment! Thanks for the read! Agree on the Euler’s method versus RK4, and the sometimes troubling assumption of parabolas. I would think that by then they would all know about Feynman’s improvement of Newton’s method, I think generally called the Feynman-Newton method these days. IIRC it does a better job than Euler’s and is simple and fast. I know it is more stable. Just have to say that Joe Kim totally nailed the diazo slide look there. Brought me instantly right back to grad school and my first job. I can almost smell the ammonia now. It’s refreshing that contributions are recogonised early rather than posthumously at the national and personal level. Thanks HaD. Many congrats KJ and your collegues. For men of the ‘right stuff’ to te request the ‘girls’ to check the numbers’ must not be underestimated considering the era. I do appreciate these articles and would like to see many more. To date the count has barely put a smudge of a fingerprint on the subject I was hoping would get at least get a good scratch, but really want you to put a good sized dent into it. You’ve got half the world to work with. It’s our pleasure to write them, so many interesting women and science. If you have any suggestions, we’d be happy to hear them. It is amazing how Katherine Johnson overcame so much adversity to show her amazing talents. It’s crazy how it took this long for her to be recognized for how much she did for NASA by just using her brain, formulas,and her desktop calculator. It is amazing indeed. I was raised in Montgomery. AL, of Martin Luther King, Jr., Rosa Parks, Bus Boycott, Selma March, and Gov. George Wallace fame. My father, in fact, was the bus company’s attorney during the lawsuit. When I got to Hampton, VA in 1959, I was amazed at how much _MORE_ racism existed in Virginia. I’d urge you to read Margot Lee Shetterly’s book, which tells a much more factual story than the movie. She describes in intimate detail how the black families in Hampton and Newport News dealt with their situation (hint: they did it with strong family and communal ties — things we could use a lot more of today). Having Hampton Institute, founded only 3 years after the Civil War, didn’t hurt either. I must admit, when I first encountered the Human Computers of NASA/Langley, I didn’t feel the respect I later gained. They were, after all, just banging on four-function calculators. How hard could it be? What I DIDN’T understand was that they all had _AT_ _LEAST_ bachelor’s degrees in math. NASA required it. 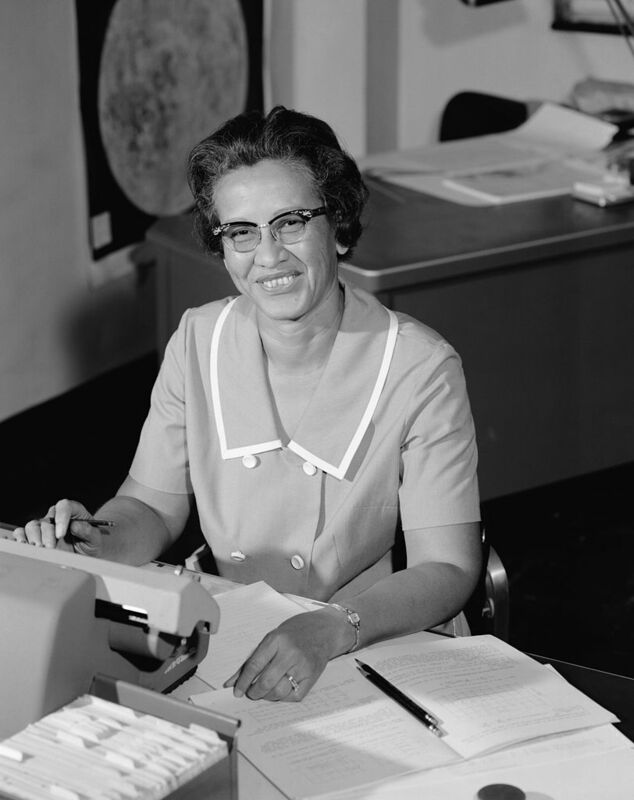 Katherine Johnson herself had a Master’s in Math and a Bachelor’s in Physics. Plus, she spoke fluent French — not exactly your average 1950’s woman of ANY race. I’ve thought a lot about how they did what they did. Yes, the calculators could add, subtract, multiply, divide, and take square roots — with 10-digit accuracy. But what about trig functions, log/exp functions, Legendre polynomials, etc., etc.? Also higher-order interpolation and numerical integration formulae. In my department, ONE fellow had a book of 5-place trig tables, which he grudgingly allowed us to borrow. I have to assume that the “Computer Girls” not only had similar tables, but probably whole bookshelves of them. I’d love to know more about what they did. Someone should write a book about _THAT_. How, you might ask, did black women of that generation get so good at Math? Answer: They didn’t have much choice. In the 1950’s South, a black women had two choices:She could be a maid or cook for life, or she could teach. They learned math so they wouldn’t have to scrub toilets.